Since we started writing in late 2005 I have always really enjoyed blogging. It has proven to be a great way to preserve memories, communicate with friends, family and strangers and vent and process some of the odd and difficult things. It if fun to share the silly kid things and it helps to process the rest in writing. Having said all of that I still often wonder if my ego is in check. I want to be sure blogging is not something I do for the wrong reasons. I *never* want it to be - look at me, I am kind of a big deal . We don't believe that or want to come across that way. I pray we do not. Sometimes the encouragement provided is hugely important but I wonder if it would be better to not rely on the internet for encouragement. I am unsure. I only know that I don't ever want this outlet to be what defines us or builds us up. It is always a little odd to us to hear that our blog is liked - We're humbled and thankful that you find something worth reading here. For the next three weeks we've decided to dial back our time on the internet. While it is the single source of outside entertainment at night, and the main way we communicate with loved ones, we still feel the need to re-group and spend a bit less time on it. The work, the running, the kids ... they all seem to be demanding more right now. Less writing, less reading, and time better spent. Paige took on a special project a few weeks ago. She left earlier today for three weeks with family in Texas and Minnesota. We want to take over her incredibly worthy project while she is away. I am so in love with Paige's heart and have seen some big things in her life this year. She is brave and strong. She has touched and inspired us (and others) with the love and commitment she has shown and we want to continue her work for her. It's a full-time gig that requires much attention and we want to be fully engaged with it. To do that we need to write less often and reduce our time on-line. 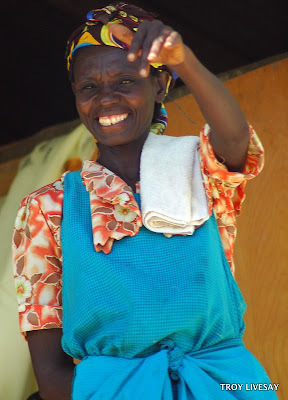 Thanks again for following along, supporting with prayer and encouragement, and caring for Haiti. We hope you're enjoying a fabulous summer. A cheerful look brings joy to the heart, and good news gives health to the bones. He who listens to a life-giving rebuke will be at home among the wise. He who ignores discipline despises himself, but whoever heeds correction gains understanding. The fear of the LORD teaches a man wisdom, and humility comes before honor.